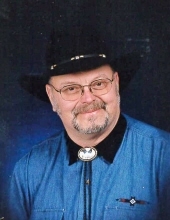 Norbert Dolezal, 67, of Viroqua, formerly of Richland Center died Friday, March 29, 2019 at Gunderson Hospital in La Crosse. He was born on September 1, 1951 in Valparaiso, Indiana the son of Norbert and Frances (Klabish) Dolezal. Norb graduated from Kickapoo High School in 1971 and he received a degree from Southwest Tech in Automotive Mechanics. He worked as a Machinist at SCOT Industries in Muscoda. Norb was a member of the Knights of Columbus, Father McKevitt Council 3492, serving as Grand Knight and was a charter member of the Knights of Columbus, Richland Center Assembly 3393. Austin and Ethan Anderson of Richland Center. A funeral mass will be held on Saturday, April 6, 2019 at 11:00 AM at St. Mary’s Catholic Church in Richland Center with burial to follow in the St. Mary’s Catholic Cemetery. A visitation will be held on Saturday, April 6, 2019 at St. Mary’s Catholic Church from 10:00 AM until the time of the mass at 11:00 AM. The Pratt Funeral and Cremation Service is assisting the family with their arrangements. To send flowers or a remembrance gift to the family of Norbert Dolezal, please visit our Tribute Store. "Email Address" would like to share the life celebration of Norbert Dolezal. Click on the "link" to go to share a favorite memory or leave a condolence message for the family.